As a common optimization problem in the field of operations research. Knapsack problem (KP) is often used in many areas, such as business, combinatorial mathematics, computational complexity theory, cryptography and applied mathematics. 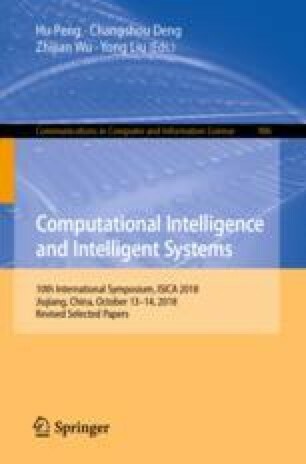 Based on the characteristics of 0-1 knapsack problem, this essay proposes an improved quantum evolutionary algorithm (IQEA) based on dynamic rotation angle catastrophe technology and designs a quantum rotating gate operator which adaptively adjusts the values of rotation angle according to the fitness value and evolution generations. In the process of evolution, the early quantum rotation angle is used to carry out the catastrophic operation of some individuals. The individual and the individual after the catastrophe are evolved in parallel, and the multipath optimization is carried out to improve the parallelism of the algorithm. This can effectively make the population jump out of the current optimal solution, increase the diversity of the population, carry out multi direction search, and maintain the stability of the population, and ensure that the excellent information in the subpopulation will not be lost. The experimental results of the typical knapsack problem show that the performance of the algorithm is better than the traditional evolutionary algorithm and the traditional quantum evolutionary algorithm in solving the knapsack problem.